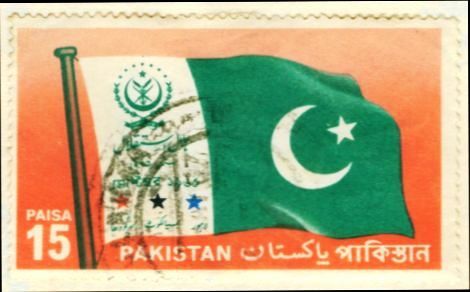 1967 was a busy year for the Pakistan Post as it issued stamps on almost a dozen occasions during the year. 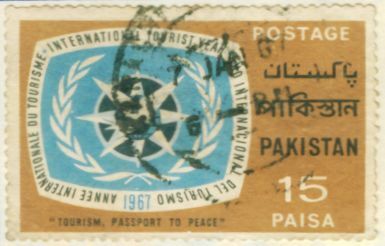 Starting from the very first day of the year, the Pakistan Post issued a 15 Paisa value stamp (below) on the eve of the International Tourist Year in January 1, 1967. The brownish coloured stamp bore the emblem of the Tourist Year. The second stamp was again issued in the month of January on the eve of the TB eradication campaign. 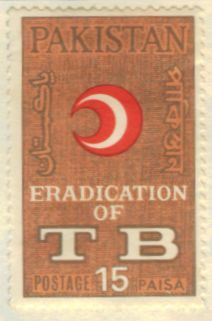 The Paisa 15 stamp bore the emblem of the TB Association of the country and was issued on January 10, 1967. The third stamp was also issued in the month of January, on January 29 to commemorate the holding of the 4th Pakistan National Boy Scouts Jamboree. The Paisa 15 value stamp bore the badge and typical three fingered salute of the boy scouts. 17th February marked the centenary of the West Pakistan High Court. 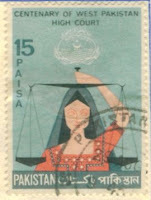 The 15 Paisa value stamp bore the emblem of the High Court and the woman holding the scale of justice in her right hand. Dr Sir Muhammad Allama Iqbal is the national poet of Pakistan. 21 April marks the death anniversary of this poet philosopher. On the day, a set of two stamps was issued to pay homage to this great poet who dreamt of a separate homeland for the Muslims of the British India and brought on board Muhammad Ali Jinnah to lead the movement for the Muslims of the subcontinent. Unforgettably, he could not see his dream coming true as he expired almost nine years before the independence of Pakistan. 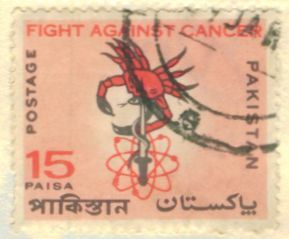 The stamp on the left above was priced at Paisa 15 and was dominating light red and sepia in colour. The Re. 1 value stamp on the right was dominating deep green and sepia in colour. During the Indo - Pak war of 1965, three cities of Pakistan bre the major brunt of the enemy's aggression and blunt all efforts by the enemy forces to take over cities of Lahore and Sialkot due ot gallantry fo the Pakistan army and resilience of the people of the two cities. Sargodha being a major air force base was also subjected to incessant air raids from across the border, but was saved from any major damage due to gallantry of Pakistan Air Force. To honour the citizens of these three cities, a special national standard known has Hilal-e-Istaqlal was given to these three cities as depicted on the stamp above. The 15 Paisa stamp with red background showed the special Pakistan standard or the Hilal-e-Istaqlal. Each year on 6 September, the previous flag is replaced with the new one, which flies atop the city town hall building side by side the national standard of the country. The stamp above was issued on May 15, 1967. 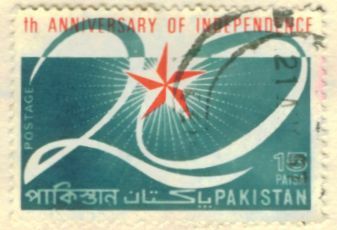 A 15 Paisa red and blue green stamp was issued on 14 August 1967 to celebrate the 20th anniversary of the independence of the Pakistan as shown above. On 28th September, a set of three stamps was issued to show Pakistan's three major exports. 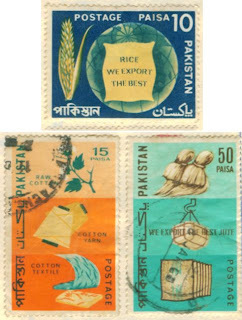 The Paisa 10 blue, yellow and green stamp above top showed the rice export of Pakistan. Pakistan's Basmati Rice ranks among the very best in the world. The 15 Paisa stamp in the bottom row (left) depicted cotton, yarn and textile exports of Pakistan. Like rice, Pakistan produce one of the finest cotton i the world and its textile related products are like all over the world. The 50 Paisa stamp above (right) showed raw jute, bales and bags winch were peculiar to the then East wing of the country. The multicolored, yellow dominated stamp above witha face value of Paisa 15 was issue don the eve of Universal Children Day on 2nd October. 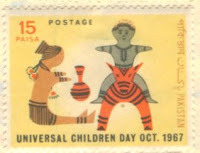 The stamp showed clay toys for the children. 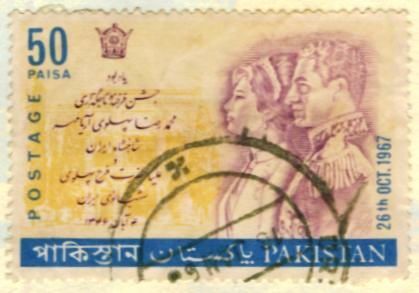 On 26th October, on the eve of the coronation of the Shah of Iran, a commemorative stamp of 50 Paisa face value was issued showing the portrait of the King of Iran Raza Shah Pehalwi and his wife Queen Farah Deeba. 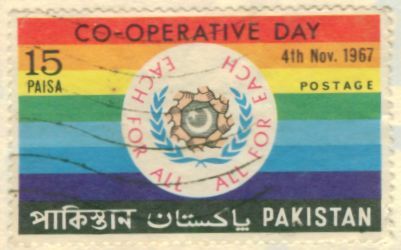 The 15 Paisa multicoloured stamp was issued on November 4 on the eve of Cooperative Day. Indus Water Basin Treaty was a hallmark treaty between India and Pakistan, which was signed in 1960 by the president of Pakistan Muhammad Ayub Khan and Indian prime minister Nehru for the just utilization and distribution of rivers flowing into Pakistan from India. as per the treaty, Pakistan was allowed to construct major dams on the Indus and River Jhelum. 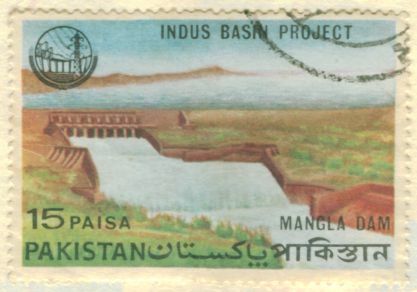 The 15 Paisa stamp above shows the spillway of the Mangla Dam, constructed near the city of Jhelum on River Jhelum. The stamp was issued on 23 November on the eve of formal opening of the dam. The last stamp of the year was issued on December 28. The 15 Paisa red and black stamp showing a crab pierced by a sword to mark the resolve the fight against the deadly disease of cancer.